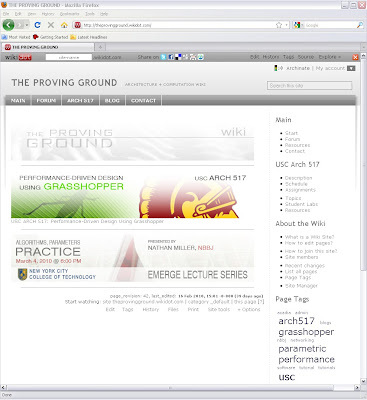 To coincided with my 5-week Grasshopper seminar at USC, I have created The Proving Ground Wiki. The purpose is to encourage experimentation and collaboration among the students enrolled in the course. 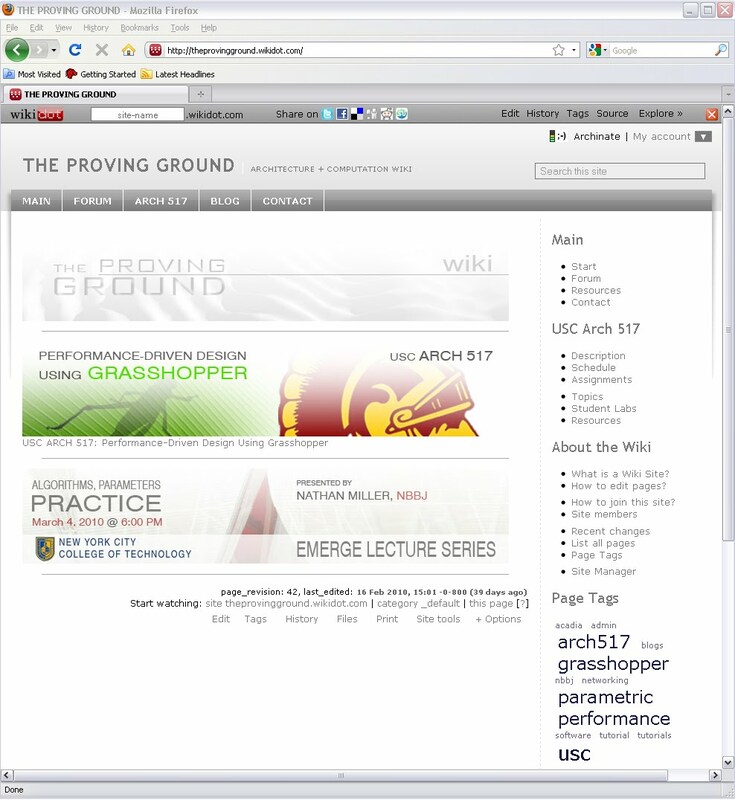 As the course moves forward, the wiki will evolve with new content in the form of diagrams, descriptions, and Grasshopper files. Have a look.... and check back throughout April to see how the class is going!